Human Traffic is a film released in 1999, that came to define the second summer of love, as they call it – through explorations of coming of age and relationships, against the backdrop of the rave and club culture. They called it the second summer of love for a reason – acting as the preface for the decade that would follow it that brought with it a sense of optimism and yearning for change, the like of which never seen on the same scale before and maybe never again. It was a time when the Spartanesque hooliganism of the mid-80s, fuelled by alcohol, gave way to a little pill and before long, people stopped fighting and started hugging. 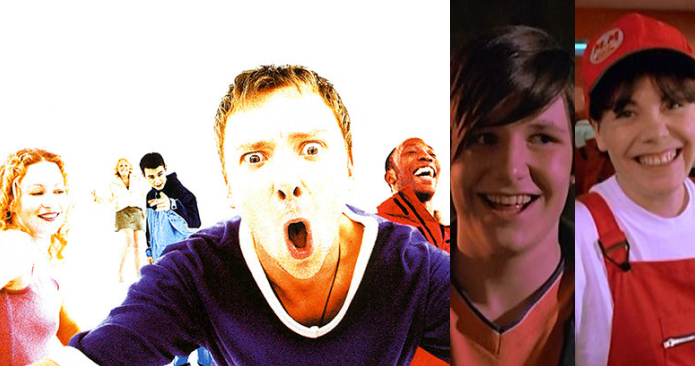 Of course, the rave years were not without their negatives, but Human Traffic leaves that for Panorama, and instead focuses on the “vibe, the venues and the mood” of the dance movement, according to the Channel 4 review. The film has achieved cult status and remains as one of the best films to watch during pre-drinks at your university house. Some familiar faces pop up in Human Traffic, many of whom got their start in the 1999 cult classic. But I wonder where they all are now? Well, let’s take a look! “The weekend has landed…” and for John Simm as the star Jip, Human Traffic was a part of the first step to becoming one of the most recognisable actors on British TV. After gaining fans from the brooding drama, The Lakes, Simm is well known for his roles in Clocking Off, 24-Hour Party People, State of Play, Life on Mars and Mad Dogs. In the past decade, he was known perhaps most famously for his rose as The Master opposite David Tennant in Doctor Who, and as John Middleton in The Village. After appearing as the jealous Koop in Human Traffic, Shaun Parkes went on to enjoy a successful career in UK TV as well as on the big screen. He’s recently been seen in Aliens, Line of Duty and The Lost Honour of Christopher Jefferies, in which he played solicitor Paul Okebu (below) opposite Jason Watkins’ titular character. The 43-year-old actor also had a great part in The Mummy Returns in 2001 and Notes on a Scandal opposite Dame Judi Dench. Danny Dyer’s career is very much a tale of two halves, so to speak, after playing lippy young dealer Moff in Human Traffic, and the wimpish Billy the Limpet in Mean Machine, he went on to score roles as a transferrable hardman in films such as Borstal Boy, The Football Factory, The Business, Outlaw and Vendetta among others. Dyer played Moff in Human Traffic after a decade of TV roles on the likes of The Bill, Ruth Rendell Mysteries, Soldier Soldier and Prime Suspect. Most recently he has settled down to play the hard-nosed grumpy landlord of the Queen Vic, Mick Carter, in EastEnders for the last three years. Hahaha, of course, Rick Grimes is in it, why not? Before his days as the master of the apocalypse on hit AMC show, The Walking Dead, Andrew Lincoln had quite a different career behind him and seemingly a very different one ahead. Whether you think of him as Egg from This Life, the lovesick Mark in Love Actually, or the tougher than a two-dollar steak Rick Grimes, don’t forget that Lincoln played Felix in Human Traffic too, and indeed, he was part of the revolution – in a tiny bit part, granted. Who knew he would go onto be one of TV’s greatest anti-heroes? You may remember fellow Welsh actor Roger Evans from things such as Atonement or Hunky Dory. Roger has also starred in Midsomer Murders, Casualty, Doctor and Da Vinci’s Demons. He also played Horsey in the popular web-series Svengali, which was later turned into a feature film and co-starred Merthyr’s Jonathan Owen and Vicky Mcclure. Welsh actress Jan Anderson played Karen in Human Traffic, but was perhaps best known on this side of the pond for her time on Casualty from 1998 to 2002. In the early 2000s, she studied acting in Hollywood and broke into the US film and TV arena. There, she worked on films including Sony Pictures’ Detention, Portal, Three Days Blind, Float, Big Top and Halloween Night. She played Marie in the Torchwood episode Reset, and had a small role on Prison Break. In July 2011, Anderson featured in the second episode of the eighth series of Curb Your Enthusiasm, playing the role of Richard Lewis’ new girlfriend, Stella. In 2012, she relocated back to the UK and has since worked on Sky’s comedy Trollied. The world would make less sense if Howard Marks wasn’t in Human Traffic, let’s be honest. Marks was the legendary Welsh smuggler – remember? Connected to MI6, the CIA and the IRA, he was eventually convicted by the DEA and served seven years of a 25-year sentence in the Federal Correctional Complex, Terra Haute. In the film, Marks, who died in April last year and who released a best-selling autobiography Mr Nice, can be seen giving a motivational speech about substance politics. Lee was the young character in Human Traffic with whom every teenager identified with. As the fresh-faced, wide-eyed clubbing dude, Dean Davies’ Happy Mondays inspired curtains hair-cut and train-track braces made him the embodiment of the late 1980s and early 1990s. Davies, who is now 36 and lives in London as a solutions consultant for an IT systems company, auditioned for the role at the age of 17 – telling his teacher he had a dentist appointment to skip class. Actress Nicola, who hails from Pontypridd, Wales, will be familiar to fans of The Story of Tracy Beaker, in which she played Shelley for two years – but that’s not all she’s done since Human Traffic. As well as starring as the unassuming comic genius Johnny Vegas’ wife in Ideal, Nicola has been a constant presence on the Welsh stage, recently impressing theatregoers with her work on Constellation Street. The oblivious object of Jip’s desires, Lulu was played by Irish actress Lorraine Pilkington who was best known for her work on Monarch of the Glen which ran on the BBC from 2000-2005. The actress has had sporadic starring roles since 2008, with appearances in Britannia High, Outnumbered and film, What Richard Did.